Foreign investors almost doubled their stakes on equities in the first quarter. 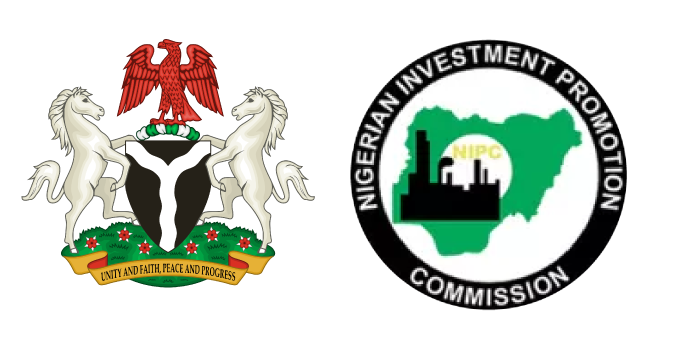 Foreign Portfolio Investors (FPIs) report for the first quarter ended March 31 showed that transactions by foreign investors grew by 80.9 per cent to N381.82 billion in first quarter compared with N211.06 billion recorded in corresponding period last year. The latest update on FPI transactions showed that foreign investors invested more in equities than they were taking out. While domestic investors remained the larger bloc of investors, FPIs have increased over the past three months. The report by the Nigerian Stock Exchange (NSE) showed positive net foreign inflows of N30.88 billion compared with a negative net foreign investment position of N86.36 billion in the first quarter of last year. The report obtained at the weekend indicated that foreign inflows and outflows rose to N206.35 billion and N175.47 billion in first quarter, indicating a positive net foreign investment position of N30.9 billion. Total foreign inflow and outflow of N62.35 billion and N148.71 billion were recorded in comparable period of 2017, which left the country with net FPI deficit of N86.36 billion. The report used two key indicators-inflow and outflow to gauge foreign investors’mood and participation in the stock market as a barometer for the economy. Foreign portfolio investment outflow includes sales transactions or liquidation of equity portfolio investments through the stock market while inflow includes purchase transactions on the NSE. The report is regarded as a credible gauge of FPI as it coordinates data from nearly all active investment bankers and stockbrokers. Monthly analysis showed a positive trend in net foreign investment inflow in the first quarter of the year. Foreign inflow totalled N91.75 billion in January as against outflow of N74.64 billion. Foreign inflow and outflow stood at N44.89 billion and N38.33 billion in February while foreign inflow and outflow recovered hit N69.71 billion and N62.50 billion last month. On the aggregate, total foreign transactions stood at N166.39 billion in January, dipped to N83.22 billion in February and rose by 59 per cent to N132.21 billion in March. Total transactions at the equities market in first quarter stood at N878.97 billion compared with N454.48 billion recorded in first quarter 2017. Domestic investors had accounted for N497.15 billion in first quarter as against N243.42 billion last year. Yearly, the report showed that since 2011, foreign transactions consistently outperformed domestic transactions. However, domestic transactions marginally outperformed foreign transactions in 2016 and 2017, accounting for 52 per cent of the total transaction value last year. There has also been a significant recovery in the pattern of transactions. Foreign transactions which had totalled N1.539 trillion in 2014, declined to N518 billion in 2016, but increased significantly by 133 per cent to N1.208 trillion last year, accounting for about 48 per cent of total transactions in 2017. Annualised, the first quarter performance indicates that the market is on course to reach within the 2014 range. Eleven-year analysis showed that domestic transactions decreased by 62.46 per cent from N3.56 trillion in 2007 to N1.335 trillion in 2017. However, the performance in 2017 represented a significant increase of 111 per cent when compared with N634 billion recorded in 2016. Chartered Institute of Stockbrokers (CIS) former president and Vice Chairman/Chief Executive Officer, Capital Assets Limited, Mr. Ariyo Olushekun, said the latest FPI report indicates confidence in the economy and the capital market. According to him, the positive trading position of the FPI shows that foreign investors see value in the economy and the stock market, since investors trade for value. “This should further encourage domestic investors to take advantage of the opportunities in the capital market. Despite the political situation, I think our economy is on a stronger footing, and that’s what the foreign investors have shown by looking ahead and taking positions,” Olushekun said.